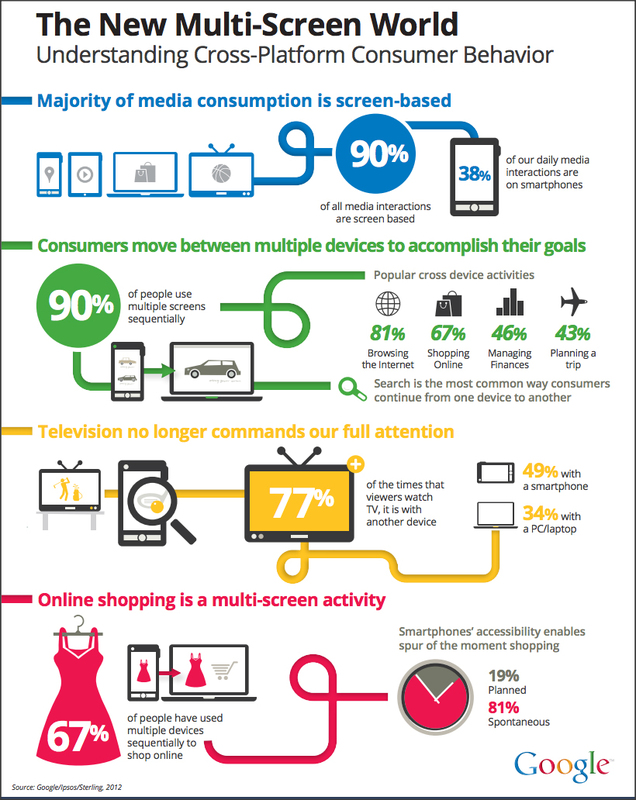 In a recent Google study, 90 percent of multi-device consumers move sequentially between several screens to accomplish a task. To put this scenario into an automotive industry context, consumers might start their search for a new vehicle on their iPhone while waiting in line at the mall, then pick up from where they left off when they are using their tablet on the couch at home, and finally fill out a lead while using their PC or laptop. (Not mentioned are the mini tablets, smart TVs and other hybrid devices that further blur the lines between the digital screens we live in today.) It is now more important than ever before to deliver consistent messaging to consumers on all the screens listed above. We are glad you asked. The digital team here at Tier10 is chomping at the bit for Google to release these amazing new tools in Google’s first wave of accounts to receive the functionality late next week. Advertisers will have the ability to manage a single campaign that can dynamically serve ads based on the consumer’s context at that time. This ability will encompass managing bids based on devices, geographic locations, time of day, search query context and more. A consumer is driving home from running errands and their oil change light starts blinking. This light prompts the consumer to search for “oil change Bronx” on their smart phone while they are at the next stop light. Let’s say that the consumer is only two miles away from your dealership at the time of their search. With Enhanced Campaigns, automotive advertisers will be able to assign 50 percent higher bids for mobile users who are less than five miles from the dealership. Advertisers will be able to set logic to which ad copy, sitelink extensions, call extensions, etc. to serve based on the context of consumers searching at that time. All of this functionality is defined at a single campaign level making it easier to communicate the correct message to each device type. If nobody were available at your dealership to answer phone calls, why would you want to pay for a mobile click-to-call or manually dialed call? (You wouldn’t!) Enhanced Campaigns will allow automotive advertisers to only show call extensions during business hours and to otherwise show sitelinks and location extensions to encourage the consumer to fill out an email lead. With Enhanced Campaigns, advertisers also get some turbo-charged reporting and customizable conversion types. This information will allow them to easily track mobile app downloads and phone calls and to assign custom values to very specific consumer actions on their ads. The latest news is that Google is looking to eventually work in offline, in-store purchase tracking, based on various consumer attributes, such as their available Gmail account information. How much can really be accomplished in a 10-second phone call? A good guess is just enough time for the consumer to realize they weren’t calling who they thought they were. This feature will allow automotive advertisers to filter out phone calls that are less than 30 seconds, and to count any phone calls exceeding 30 seconds as conversions. What Is Needed to Adapt? Since these features won’t be available to most advertisers until late next week, at the earliest, advertisers have time to prepare. Read as much of the Google AdWords resources on Enhanced Campaigns as possible and put together a game plan for your first test run with the new tools. Test the new features with a couple of your campaigns, at first. Then, gauge the results and expand your testing from there. Since Google isn’t planning on force feeding the Enhanced Campaigns to all advertisers until June 2013, take the next five months to dial in your Enhanced Campaign strategies tailored to your business and you will thrive in the structural change. Here at Tier10, we can’t wait to begin testing these Enhanced Campaigns for our dealers. We‘ll follow up on the Lab with our preliminary results soon after we have them available to share. Do you have questions, comments or concerns regarding this upgrade? Comment below and spark an insightful discussion! Want to speak with a sales representative about partnering with Tier10? Contact us here. Error - Error validating access token: Session has expired on Tuesday, 06-Feb-18 09:00:00 PST. The current time is Friday, 19-Apr-19 17:54:16 PDT.